Ah . . . we’ve made it past the Holi-daze. A time for wrapped presents and reluctant presence. A brave and glorious attempt at striking a balance in your checking account, on your bathroom scale, and in your personal and work lives. A festive cage match of fooding and feuding set in clashing red, green, silver and gold tones. And my god, the sweaters . . . Of course, family is always a little colorful and complicated, especially during the dark and wintry season. But everyone huddles up, tries to keep warm, and if means and vices allow, become overfed and drop merrily into an alcoholic/diabetic coma until after the New Year where all good intentions smash their Christmas cookie-crumbed fist down on the reset button. Now—that’s the bleak, American-ized, commercialized, canonized version and was thankfully, not characteristic of my personal holiday. I won’t gush about it too much, but I am happy to report, my time away from work was actually quite intentional, restorative, magical, and sweet. I cherished my time off for the holidays with my love and his family. Those two weeks of cooking and eating delicious food, sleeping in, taking epic walks and photos, communing with nature, enjoying the snowfall, snuggling in bed with my kitties, making art, working on writing, and considering the future have been glorious and I wish they were longer. I hope I can configure my life in the next year to experience more of that free time. Which brings me to those pesky New Year’s Resolutions. Mine doesn’t involve the altruistic, grand gesture, ceiling-pointed, loud and hasty declarations made under the bubbly duress of cheap champagne. It doesn’t involve the gym either. It’s based on the observation my boyfriend and I made about people around us everywhere, especially at dinner, have the tendency to complain. It sounds like conversation at first, but when you do that gentle eavesdropping on your neighbors, it’s not storytelling or laughter, it’s more often than not, a litany of anger and irritation as someone replays an unpleasant day, or retells an unfriendly interaction with a coworker or an argument with a family member or friend. With that in mind, I’ve decided to really do my Daily Gratitude—to make certain I complain less in conversation and always find something positive to say in any situation. One step more, I will write down one thing everyday, detailing some small blessing, some event, a kind gesture, little memories, a goal accomplished, something humorous, something beautiful, something amazing, and put it in an as of yet, undecided, undecorated vessel. A mason jar for now, but something meaningful soon. On December 31st, 2013, I will unpack this vessel of blessings and beauty that has graced my life over the last year and give thanks. The days are colder and the utility bills a little higher, but I am surrounded by love in all forms. Sure, it’s difficult to rise in the dark and come home in the dark and be at work in between, but when I returned to work after my winter break, I came back refreshed and recharged. I was thankful to have a job I could go back to and kind coworkers who bid me Happy New Year and remarked how relaxed I looked. So, how will I survive this exercise in positivism and gratitude? How will I fill in the hollow left by the Holidays and the full Winter ahead still baring its teeth and lashing me with its windy breath? By appreciating the warm breath of the space heater at the foot of my bed, the warm breath at the nape of my neck, the crisp Pink Lady apple in my fruit basket, making time to exercise and keep my mood boosted even if it means walking in the cold to get something hot to drink just for the contrast, reading much and keeping my mind sharp, listening to new music and writing about it, and of course, cuddling, cuddling, and more cuddling. We are constantly encouraged to go go go, to do and to be. We are made to feel guilty when we aren’t productive or we become still, even if our minds and bodies require it. But it’s instrumental, seasonal, cyclical, mechanical, and natural to follow this pattern, as all things must, to regenerate and re-balance. It is only right to follow a flurry of activity with a time of necessary inertia, quiet, and sleep. 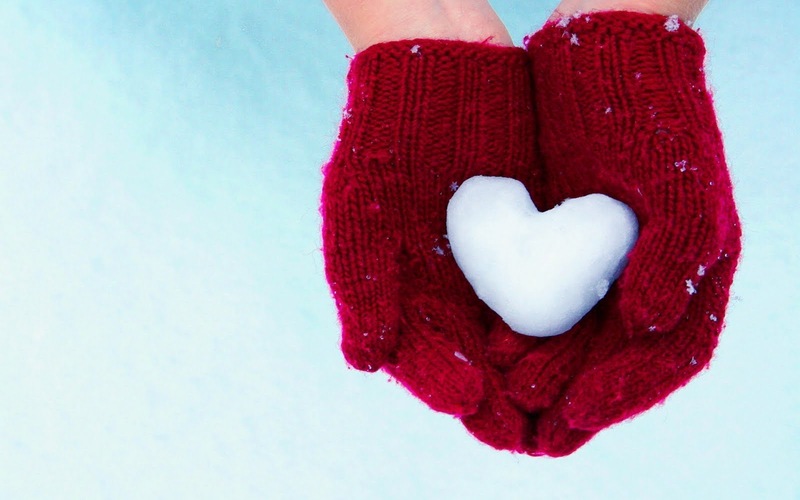 The only way to know something by heart, and and to love it well, especially in the heart of winter, is to hold it in your hands and allow it to yield, melt and reveal itself. I leave you with Efterklang’s “Apples” and bid you to find all kinds of ways to your garden . . .
“Apples” sounds gloomy. Not like these Pink Ladies we’re eating.